In 2015 Elance and oDesk merged and relaunched as Upwork. Most freelancers who’ve been in this game for a while know of these platforms and/or have looked for freelance work on them. But, can you really make a living by taking gigs on this platform? For many seasoned freelancers, Upwork doesn’t always yield high-paying work. But there are people that are using Upwork successfully. Let’s look at what Upwork really is and learn how these freelancers earned big on this platform. For those new to freelancing, Upwork is the largest online freelance marketplace that provides the space for clients and freelancers to connect. It follows a bidding system in which freelancers apply (bid) for projects, often against hundreds of others, in the hope they’ll land the job. It can be pretty hit and miss. Bear in mind that there are over ten million registered freelancers on Upwork versus around only four million registered clients. There’s way more freelancers than available jobs, so you’re competing in a big pond. I signed up on Elance three years ago and didn’t like the bidding system or the fact that there was a proliferation of low-paying jobs offering pitiful rates so, in the end, I gave it a miss. Sufficed to say, Upwork is not for everyone, and many who do stick with it are often struggling to find the decent jobs and settling for low-ball jobs. Not an ideal scenario for any freelancer. If you’re considering joining Upwork, or if you’re currently struggling and wondering how to make a success of Upwork, read on. Upwork can be overwhelming and when the good jobs continue to elude you, it can be demoralizing. So when I came across two freelancers who are doing well in terms of earnings, and who no longer bid on projects but are in the enviable position of having clients approach them, I was curious. How did they accomplish this on a platform that has such a poor reputation and often has freelance gurus advising against using it? So I reached out to them and asked them to share their secrets to hacking Upwork. In Part One, we interview Danny Margulies and in Part Two, Diana Marinova. Both have taken the time to provide useful insights, practical examples, and great tips for anyone wanting to learn how to stand out from the ten million freelancers and attract the clients. So let’s hear from our first Upwork expert. 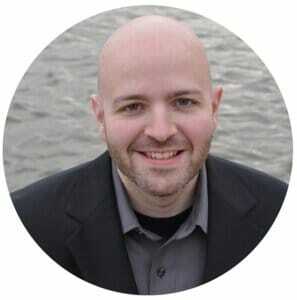 Danny Margulies is a copywriter who started on Upwork (then Elance) back in 2012. Knowing nothing about copywriting when he started, Danny quickly learned how to write effective copy and picked up valuable marketing knowledge along the way. Within a few short months he was earning a decent income and by his second year of freelancing hit the six-figure mark, earning over $100 000 per year. And he achieved all of this on Upwork. You can follow Danny’s blog www.freelancetowin.com where he shares plenty of tips on how to hack Upwork. Tell us how you got started as a freelancer. In 2012 I had a really icky job cold calling doctors’ offices all day. It sucked. So one day I decided to quit. I didn’t give any notice, I just told them I was done and then I went home. I wish I could say I had a plan, but I didn’t. I also didn’t have much savings – maybe enough to cover me for about 6 weeks. Through that search I stumbled upon Elance (which later became Upwork). When I searched the jobs I noticed there were some that anyone with a high school education could do (did I mention I never finished college?). For example, writing a short children’s story from a template – basically the writing equivalent of “paint by numbers”! So I decided to give it a try. And to this day, that is how I’ve found 99.9% of my clients. Most clients tend to hire the more experienced Upworkers and it is often difficult for new freelancers to land jobs because they have no previous work history on the site. How did you land your first job on Upwork, and what advice can you give newbies that can help them win that first client / job? The number one thing that helped me – and thousands of others – get jobs as newbies is what I call my Crystal Ball Technique . The way it works is that in order to get hired when you’re new, you need to show clients you can do their job successfully. Not tell them – that never works. They won’t believe you; and why should they? Everyone is telling them “Hire me, I can do this!” It’s just a waste of time. But if you show them – prove to them – that you can do it, you’ll have a great chance of getting hired, even if it’s your first day of freelancing. 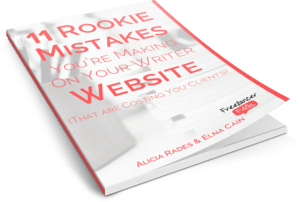 So what I’ve done – and what I encourage you to do if you’re just starting out – is to write a sample piece that is similar to what a client is looking for. For example, one of my students, Sharmin, wanted to apply to a job writing descriptions of beaches. So she wrote up a short sample with descriptions of parks – which was similar enough to get the client’s attention. This works incredibly well because everyone else is either sending zero writing samples (a hopeless strategy), or they’re sending totally irrelevant samples; for instance, an article about dogs. By gearing her writing sample toward what the client was actually looking for Sharmin was able to win the job, even though she was technically the least experienced candidate. Read about Sharmin’s exact approach in more detail in this post. Upwork has a reputation for low-paying jobs. Is it possible for freelance writers to earn a sustainable income from Upwork alone? Yes, I know many people who are earning a full time income from Upwork, and have been for some time. Like this person, and this one. And there are many others as well. My brother is another example. He gets all of his clients from Upwork. He has many clients paying over $100/hr. There are more good clients on Upwork than most people realize. How long did it take you to become a six-figure freelancer on Upwork? I did it in my second year. There are so many clients and jobs on Upwork that I doubt I would have been able to do it so quickly using any other method (e.g. cold calling, networking, etc.). 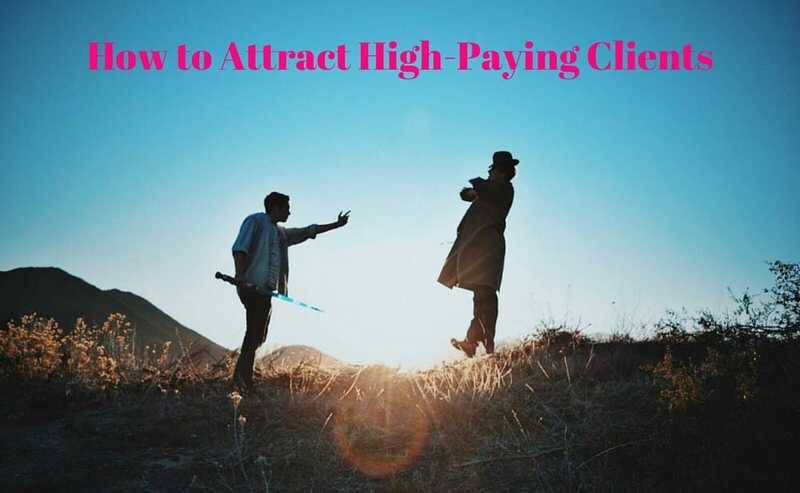 What strategy did you use to land the high-paying clients? The most important thing I did was constantly build up my own skills to make myself ultra valuable to clients. The more I can do for them, the more money I am able to charge. This isn’t as hard as most people think – you can outshine 99% of your competitors just by reading about your industry every day. Most of them aren’t doing that. Then when you learn new tricks you can give clients valuable ideas that your competitors aren’t giving them. This makes you look like a genius. I have always done this and, in fact, I still do it to this day. It’s a huge advantage. I also ignored conventional wisdom and “best practices” that don’t really work on Upwork. For example, I never search for jobs using filters or keywords, even though most “experts” recommend that. I always look at every single job in my category. A good client can easily be worth tens of thousands of dollars or more, so missing out on even one opportunity can be very expensive. By comparison, trying to save ten minutes searching just doesn’t make any sense. I also never qualified clients based on how much money they’ve spent on the site; some of my best and highest paying clients started out with zero dollars spent! All the “experts” say you should ignore those clients, but that’s really bad advice. Just like us, clients have to start somewhere. In fact, I actively look for clients who have no spending history yet, because I know that the best freelancers often ignore these people. So if I can make a good impression on them then there’s a good chance I can snap them up and do a lot of business with them. This has happened to me many times over the years. I call these clients “Sleeper Hit Clients” – they might not have a big track record to start with, but they end up paying really well and becoming very profitable long term customers and friends. What is your number one piece of advice to those starting out or struggling to find decent work on Upwork? Focus on what you can GIVE, instead of what you can get. Yes, I want you to make money. Yes, I want you to get to the point where you can charge above average (or even premium) rates. And, of course, I want you to do work you enjoy, be in control of your schedule, and get all the other freedoms and perks that come from being a successful freelancer. But those rewards only come as a result of being able to help a client accomplish their goals. Learn about what your clients want, and figure out how to give it to them. It’s that simple, but most people miss this point and they focus on “how much money can I make off this person.” That’s not going to get you very far. On the other hand, if you can provide value to clients and help them get what they want, you will literally be turning away more work in a month than most freelancers do in an entire year. You have a course called Secrets of a Six-Figure Upworker in which you share all your secrets to unlocking a lucrative freelance career on Upwork. Tell us about the course and what participants can expect to learn. I would rather not plug the course here. I would much prefer to talk about a piece of free content that readers can sign up for. The reason being that I’ve found that this helps a lot more people, since there’s no financial investment required, so many more of your readers will go and get it and it will help them get great results. As opposed to the course, which only a minority of people will buy. And I really want to make the biggest impact on your readers’ lives. So I would like to direct people to my Top 5 hacks for succeeding on Upwork – they can sign up for free here.These hacks took me months (and in some cases years) to figure out, and they are extremely powerful. I get emails from people all the time telling me they’ve earned thousands of dollars on Upwork using just one or two of them. The best part is that they are extremely easy to implement – some of them take just a few seconds and you’d be amazed at the difference they can make. So please enjoy this as my gift to you. My thanks to Danny for giving up some of his time for this interview. I hope you gleaned some useful nuggets of information and tips on how to better approach Upwork. For more detailed advice, remember to grab Danny’s Top 5 hacks for succeeding on Upwork – for free! Thanks for telling us about Danny. Upwork is a platform I haven’t tried. I’ve only tried Guru and oDesk. Personally, I don’t think I’ll try it out, but if it works for some, then why not, right? There are many different ways to earn an income online, so we shouldn’t exclude Upwork!